Mountains of paper were stacked so high that it is hard to fathom that I touched every single one of them with my hands at some point. I had to have, in order to have stacked them and moved them and rearranged them as many times as I did in the process of moving from apartment to apartment to rental home to finally our current home, as well as the times in-between that I rearranged the craft into new configurations and rooms and piles. The paper was outdone by the ribbons, cascading from rings in a gorgeous rainbow that everyone complimented but that I regretted. Supplies were gorgeously divided by color and then by type, with cases of “blue” filled with even smaller cubes filled with blue brads in one and pretty turquoise buttons in another and delicious pave Swarovski crystals in another. Want to make a die cut? I've got eight different machines for that and dies for every imaginable thing you want to make. It was my store, my candy store of craft supplies, in my own house. The belle of my Pinterest account was a version of my craft room that conveyed perfection, abundance, and organization that was almost godly. This begins the story of why I almost threw all of my craft supplies away. I hated the room that had become the envy of literally thousands of people on Pinterest. It was pinned thousands and thousands of times. I hated all of the stuff in it. I didn't even want to go in the room anymore. I was obsessive about keeping the room organized, and that is what people loved about it, but the sheer volume of stuff in the room and in adjoining rooms, my garage, and a storage unit, was sucking my soul dry. And sucking my bank account dry. I had a bad case of BEING the craft Joneses, not just keeping up with them. And I was clueless about that dynamic and how unfulfilling it was. I started to resent the room and the stuff in it. Then I started ignoring it. I didn't craft for months at one point. Next I hated it. And then, it became my salvation and a new mission. This story will be told in a series of 3 blog posts. It's not a straight line from A to Z … it is a winding tale of self-discovery, pain, and metamorphosis. I hope that if you are unhappy with your crafting right now, feeling buried under stuff, and just not feeling the love of craft anymore, that you keep on reading and see how I got out of the deep dark funk and got back into crafting up a storm! I’m so sorry you’re going through all this!! I’m glad to hear you’re taking a valuable lesson out of it and sharing it! Thank you for the courage to open up your life and your heart to help others in similar situations. Best of luck to you, and I do hope the story ends in a high note! Thanks. It’s all good now 😉 But yeah, it was crazy hard when we were going through it! Since I value honesty and humility over most other character traits, this really moved me. I am so proud of you for sharing this because I KNOW it’s going to hit home for so many over-purchasers!! Can’t wait to read more. Thanks for your willingness to share. Wow, this is crazy, and I wouldn’t want to go through it, I’m sure it was hard but I’m glad you’re still crafting! Thanks for blogging about it, it may help someone in the same situation. I don’t hate my room, and I love crafting, but somedays I feel like I have WAY to much stuff in here and I have to get rid of some. so sorry you had to go through this. Thank you for sharing your story. Glad you are happier with your new found minammilism. Oh Jennifer I am so sorry! What a journey you have been on! You are so brave to not only stay the course but to share your story with us. You are such a generous, creative, supportive friend to so many. I hope that by sharing your story you will feel supported too though I know that is absolutely not why you wrote this. The thing is we will learn so much more from your honesty and putting yourself out there as a real human being than just about anything else you can teach us about. (And you are a wealth of information so that is really saying something!) You are one amazing woman! Wow what a powerful story Jennifer. I so feel you on a lot of the crafters “hoarding” and the guilt that follows. Can’t wait for you next post. You are brave and generous to share this story. I especially appreciate your sharing how you felt about the things that were happening to you. I hope your story has a happy ending! Great article, I have jumped ship several times in past few years. Congrats on making it work… You are honest … Look forward to the rest of story… I have spent the last 3 months living out of a bag with 3 pairs if jeans and tops…going from hospitals to taking care of my grandkids while baby has been in ICU… Luckily I can say I have time to do these things…I have learned stuff is not important nor are the so called friends that judge. Thank you for sharing this!! Life can be so hard sometimes. So glad you were able to find a way to fix things! I am so sorry you are going through this …you are strong and brave for sharing your experience. I am guilty of over spending on craft supplies and find myself buried in product that I know I won’t use or has gotten lost in the abyss. In all honesty it is always in my mind of how much I have and don’t need. We are not in debt because of my spending… but I can see it happening easily if I had not taken control….your blog post has only empowered me to move keep going and destash my studio …get rid of what I don’t use …and because crafting is all I can do I have to buy supplies at some time…we have set a budget and I always ask myself ….do I really need it or is it just a want?…will I use it more than 5-10 times or only once? Not easy questions when it is so easy to hit the buy button and get that amazing high when it says processed…however the guilt does hit you and at some point with some items regret. I can relate to you experience with crafting and spending. It’s only been a a couple months of rethinking craft spending …I hope I follow through and not go regress to old ways. Thank you for sharing…. Thank you for sharing your truth to help others who are on the same path at some time. I’m glad that you made it through and that you still have joy. Thank you for sharing your story! So happy you have found your space. Jennifer, this is such a brave story ! I can only imagine the anxiety, the stress of your situation must’ve been terrifying. I catch glimipses of me in it, and had scrap supplies not been as expensive as they are in Singapore, I would’ve been in dire hoarder mode. Ditto the craft room, I hated anything being less perfect and so much of my identity as a working crafter was linked to the pristine space. Three years ago I began my walk into simplifying, it has been so much better ……. a slow process but one that eventually lightened my life. Thank you so much for your inspiring story Jennifer. I see your cautionary tale as one of hope and a reminder not to let things take over our lives. Your shopping therapy is rampant in this society and even though I have been able to keep my own impulse to buy in check, I too have way too many craft supplies! From fabric, to candle-making and soap-making tools and supplies, to stamping and scrapbook goodies….there are so many things that I can’t even find what I want for any given project. I have been loving your posts about how to use what you have and start to love crafting again! As with all things, it’s finding the right balance. So glad that you were able to save your house and that you are on your way to a new outlook! Your story should serve as a wake up call to many of us…. Especially after frenzy buying yesterday on HSN…. Now where to put all this stuff…. Too busy cramming it away to actually create anything! Thank you for sharing and good luck in your new life of freedom ! Thank you for sharing your story too! You are not alone in your financial/physical struggles. I bet there are an abundance of crafters who have had the same experiences. Most keep silent due to fear of judgement. When my husband died six years ago, my salery was split in half. Still, I spent like crazy while trying to fill the void of loneliness and heartache. Around year five, it hit me like a ton of bricks. It wasn’t the product overloading me, but the mounds of debt I had created from nothing. I had very little to show for it but used clothing and a scrapbook collection to meet any crafter’s dream. It was simply stuff. My pain was no where near resolved either. Last year, I finally made the call to face my pain, met with a lawyer and filed for bankruptcy. It saved my life. It gave me a fresh start to rethink my poorly thought-out habits and desires for nice things. Let’s face it – the competition in the crafts industry is fierce. I eventually closed my blog and went about redefining for myself and what it means to be a productive, fulfilled artist. My studio is still filled with all kinds of beautiful things, but my reasons for making art and recording memories are entirely different. My voice is more authentic and real, as are my creations. I even go so far as to create my own supplies. I feel empowered and free, and no longer am I lonely. Keep sharing – you speak for many! Thank you so much! I am sorry to hear about what you went through but am glad you are on the other side of it now. Yeah, the industry is nuts at times but there are pockets of good and that is what I try to keep my focus and relationships geared towards. You’d think crafts would make people happy but some women are angry and mean and it doesn’t matter what hobby they pick up, they just have some void compelling them to be mean to others. It’s harder to grow from things and progress. I’m glad you did. I feel like I am on the same path – let’s level up! LOL Thanks again for sharing. It means alot to me that you and everyone took the time to comment. Thanks for sharing…I agree it takes bravery to share something like this. It shouldn’t be! But it is. I’ve had to cut my own spending due to a divorce and the resulting income cut. The kids are struggling with the changes, but it’s the people around me who are making it worse. They insist I OWE my children these things I can’t afford. We need to support each other. That is all! I have met you a few times and after your post, I am more impressed and I respect you more today. I am very proud of you to step forward and share-it’s not easy! I was an addict-not substance abuse- I was a shopaholic. 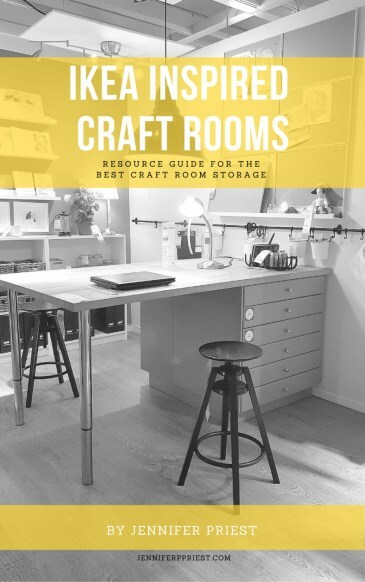 My craft room was so packed; I couldn’t open the door and I hated it, I refused to go in there yet I kept buying more and never made anything with what I bought . I am a crafter and just starting to get my foot into places. I would go to things just for the free swag, **I just needed it. wanted it. had to have it and than I would bring it home throw it in a drawer and forget about it. I have walked in your shoes, I have seen what you have seen. … I cried everyday and every night- sometimes I never slept. Stress and Anxiety Panic Attacks. We had no one to turn too. My husband lost his job of 18 years and I lost mine after 28 years and just because we lost our jobs it didn’t mean the bills went away. The bank made promises that they didn’t honor, asked us to do a loan mod and sold our loan to another company- yeah we did the dark bleak trail. We found this wonderful company named John Hart Realty the owner Harout- he took care of us and fought the bank everyday. Every Foreclosure date extended, no bad news letter ever came to our door- it took over a year and half and he got the bank to settle. We never made another payment after meeting with Harout. If we had wanted to keep the house he would have negotiated a better rate for us**what was best we never had to paid him a dime. We sold the house no penalties. no monies owed and we left… I didn’t want to it was my home- yet it was so tiny, we needed to leave. I was always so worried about what others would think- especially the mean girl the one who wants us to fail -secretly they are jealous and want what you have (smile). You know who is real and who isn’t. (it’s like when you have money and everyone is your friend and when the money runs out and they leave). You get to a point you just don’t care it’s about you and your family..I dwindled our retirement away on craft products. I have since learned to part with many things- I’ve started donating it- the Ronald McDonald house, my church, family friends kids and to some ladies I’m in a group with (they think I’m nice by giving them stuff- I don’t tell them it’s my therapy). I was a person who criticized people too! Never realizing it was happening to me/us- thinking that would never happen to me- What people don’t realized, everyone is 1 paycheck away from being homeless. I think you are a powerhouse in the craft industry, the social media industry and now that you’ve touched the bottom there’s no where to go but up!!! So, enjoy the journey up and But,remember your lessons- it will be hard but your strength is stronger. Take each day and be grateful for it, each day when you wake up appreciate what’s important. Never worry about what anyone thinks of you or what they say Only what your family thinks and says about you!! I’ve seen your family and I know they love you. Just reading this now and am aching over your past pain. I am so glad you’ve come out of this stronger and more humble. I know it must have been so hard. Thank you for sharing it. I hope things are better for you and your family now. I know this is an older post but found it today via Facebook. Your story is so honest. Your candor is refreshing. I’m a card maker and scrapbooker in theory. I have spent the past four years purging my stuff. Even with all my stuff, among my other craft friends, I was the most frugal. While some friends would drop $100 plus at scrapbooking stores, I felt guilty if I spent $40. I knew one lady who would buy all sorts of supplies only to put her shopping bags in a room, and rarely use the items. It’s only recently that I have realized that many of the people I watch on YouTube are paid to promote new items. How naive am I? Crazy how this post is old but still relevant. I am glad that you had more self control than many of us during the crazy days of scrapbooking. I promote items from companies – they are called sponsored posts. A post is sponsored when you get the product for free and/or get paid money to promote it online. EVERYONE who is doing this is supposed to clearly disclose that they have a relationship with the sponsor. They don’t have to say if they were paid or not but they DO have to say that they have a relationship. So like on my site here, some of my posts start with a sentence saying “this post is sponsored by …” and names the sponsor.